Cleaning the dust and crumbs out of the nooks and crannies of the dashboard, console, vents and gauges is easier with Splat AutoClean. It’s a squishy gel blob that you press into tight spaces and then just peel away. Solid particles are embedded in Splat without leaving any sticky residue behind. It doesn’t even stick to your hands. The number of uses you get varies on how dirty your vehicle is, but once Splat darkens to the point of matching the guide on the packaging, it’s time for a replacement. 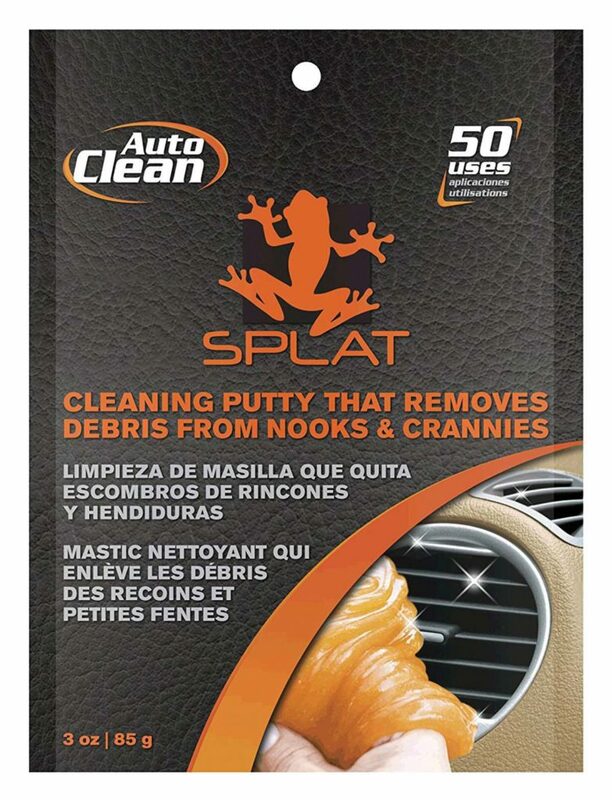 Splat’s makers claim the product is biodegradable and also works on dust and crumbs caught in the seams of vinyl and leather. Get yours from a variety of online resellers, including www.amazon.com for about $10 plus shipping.